The run-up to Christmas is always a busy time of year, even if you’re only a couple of inches tall. 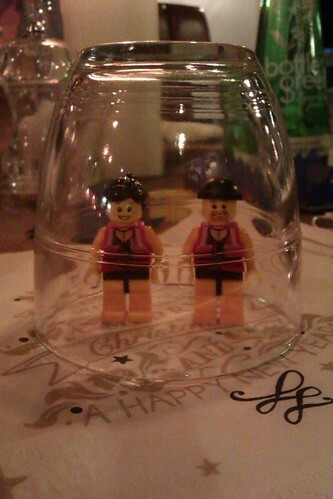 The little guys were delighted, therefore, that their friends at RNLI Portishead had decided to wait until the new year for their festive meal and get-together. 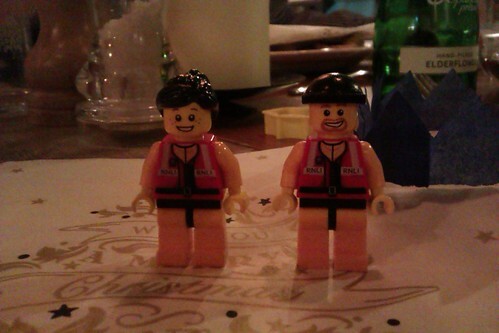 And so, last Friday evening, the little guys got dressed up (well, got dressed, which is about as much as we can hope for around here) and headed down to the H&W pub/restaurant overlooking the town’s marina. The first thing that the Crew noticed was that the pub’s upstairs dining room was absolutely heaving, with over a hundred people greeting each other warmly and finding somewhere to sit. The second thing they noticed was that all of these people were crew, fundraisers, station officials and otherwise connected to the lifeboat station. A bit overwhelming, really. 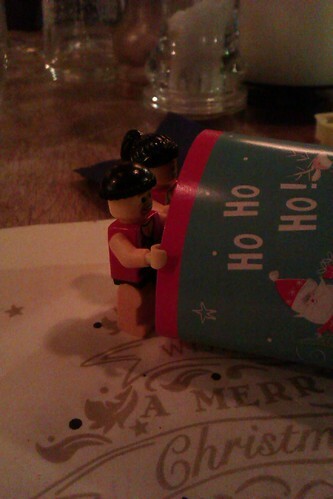 Unabashed, the little guys quickly got into the festive swing of things. 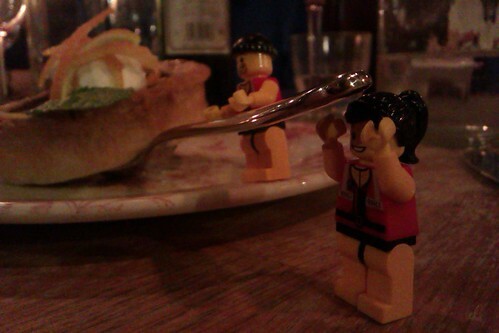 Crackers were pulled, new friends were mad (including most of the lovely waiting staff) and plans were hatched. Thankfully, I noticed in time and quickly put a stop to such shenanigans. That’ll sort them out. It was a fantastic evening, though, and the little guys, Natalie and I had a truly awesome time. A massive thank you to the tireless Helen, the station’s press and publicity officer, for putting together such a great event. And thank you, too, to the brilliant staff of H&W for making us all so welcome.